Summer is over and school started today! How in the world did that happen? Some of you are so excited and others are still crying! I understand your excitement and your pain! Notice that there is an opportunity for working women and those who can’t come to church to do an online study, Duty or Delight. Rachel Lovingood will be facilitating this study on Wednesdays at noon. Also, iMom will have a new look. We’ll be answering this question, “Who Am I in a Do It Yourself World?” During the Fall we will be doing Priscilla Shirer’s Gideon study together every other week and then learning how to do all kinds of “Do It Yourself” projects as well. Come check it out! Studies are offered on all campuses beginning August 20 & 21. Invite your friends and come find a place to connect! Please help us get the word out by posting to Facebook and Twitter. 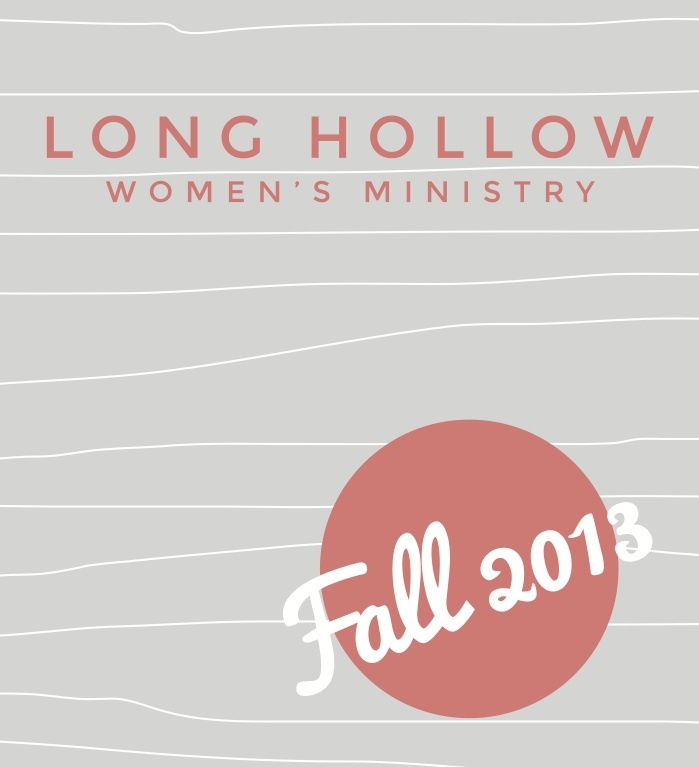 There are Women’s Ministry Fall Preview Guides available in the Living Room or Atrium. Pick one up and mark your calendar for upcoming dates. mornings? The website wouldn’t let me sign up today for it. The link to register for our Fall studies should be up and working now…sorry about that! Chase will be meeting on Tuesday mornings @ 9:30am in Room 227.